« Distance makes the heart fonder, retrieves more intense? Training birds? Who needs ’em? Not really, but I’ve discovered something that helps Manny (and even Buddy) to work on steadiness that: needs no food or water, never dies, doesn’t need freezing, won’t poop on your hand, and is available everywhere – cheap! It’s a balsa-wood airplane. Yep, that old-fashioned kiddy toy flies reliably, and makes a great introduction to “flush” for a puppy. In fact, maybe better than a bird out of a launcher, which is noisy, offers tempting odor (perhaps too soon in the training) and is a bit of a hassle to set up. 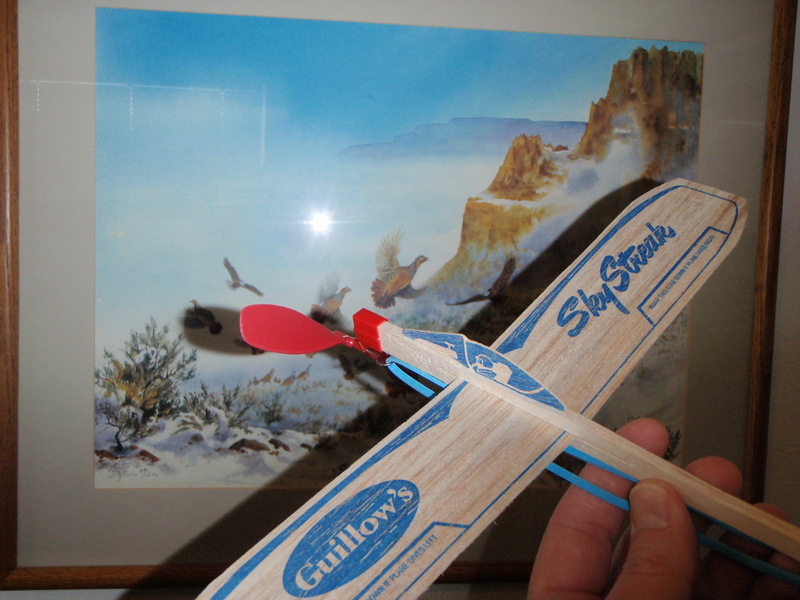 Simply wind up the propeller, hide it in your coat, “whoa” your dog and you’re ready to teach steady to wing. Add another toy – a cap gun – and you’re set for the rest of the wing-shot-fall routine. Just leave your roller skates in the attic.